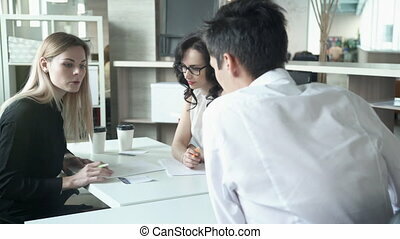 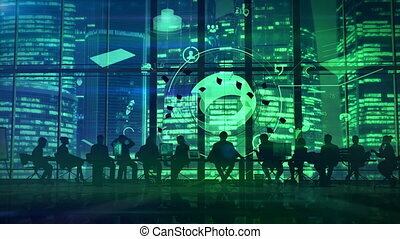 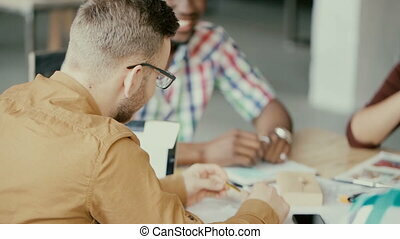 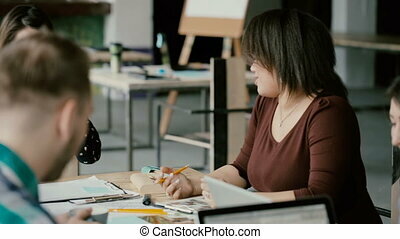 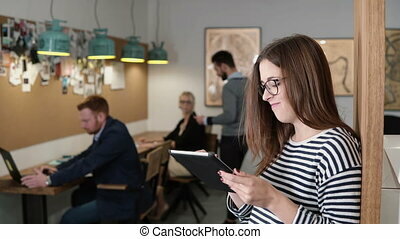 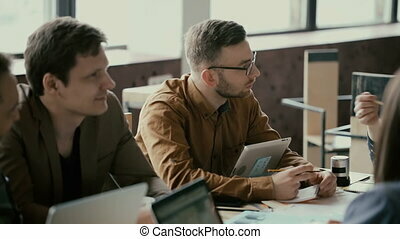 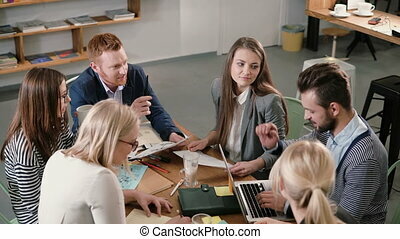 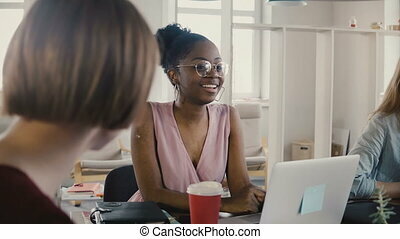 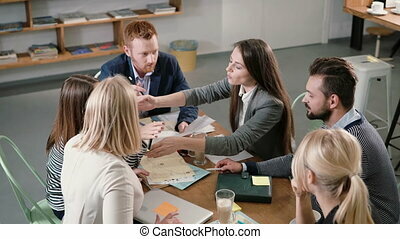 Business colleagues work with laptops, a female business partner approaches them and discusses something at the desk in the office. 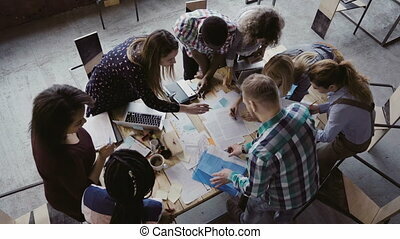 Coworking. 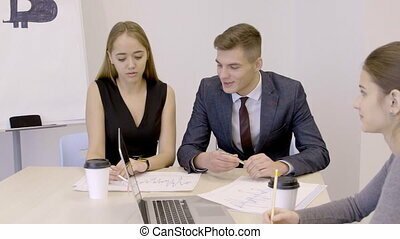 Two business partners in the office are asking for two cups of coffee. 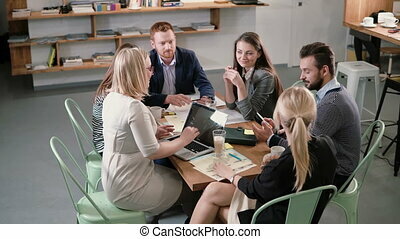 Co-workers during a coffee break are sitting at the table with their laptops. 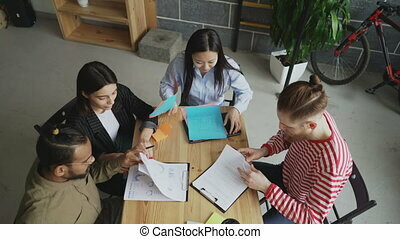 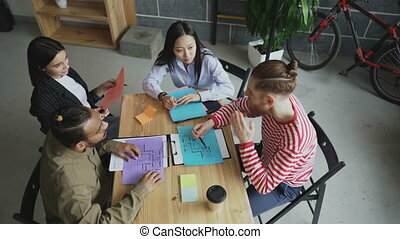 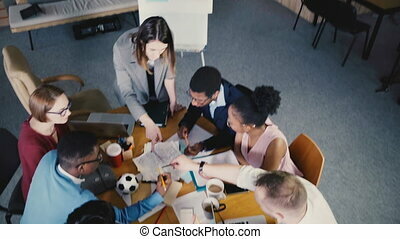 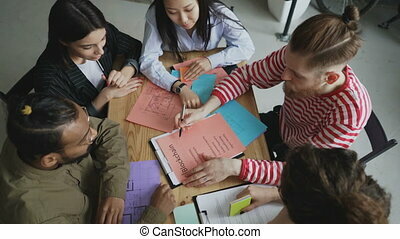 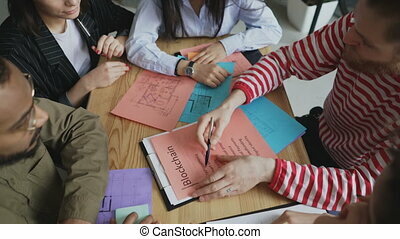 Top view multiethnic creative team brainstorming in trendy modern coworking office. 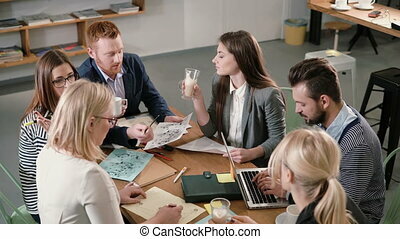 Female boss leads the meeting 4K. 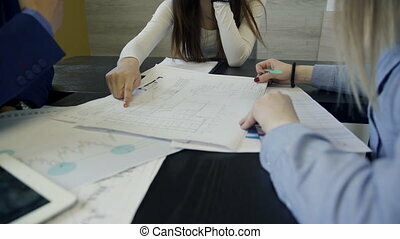 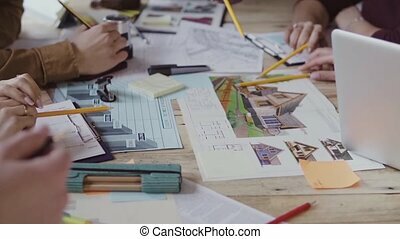 Teamwork at modern architecture agency, working on new business project. 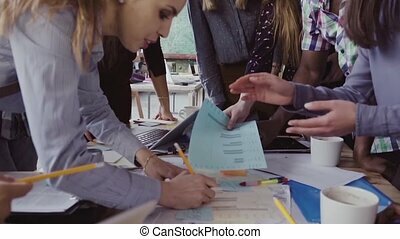 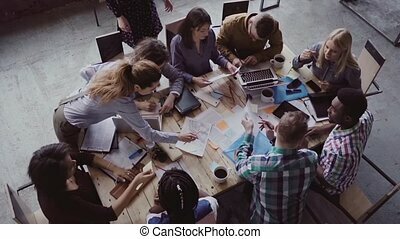 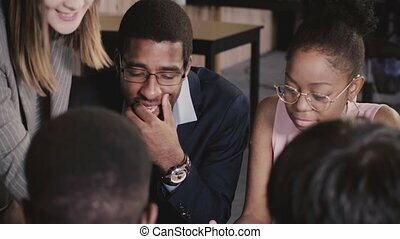 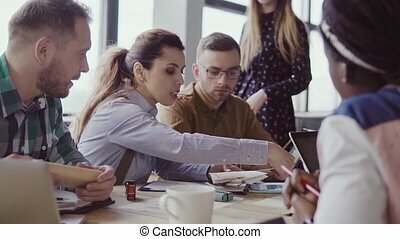 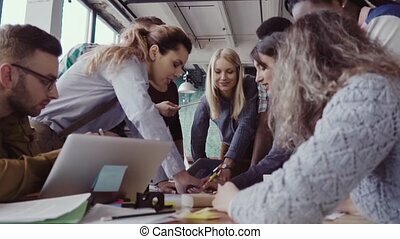 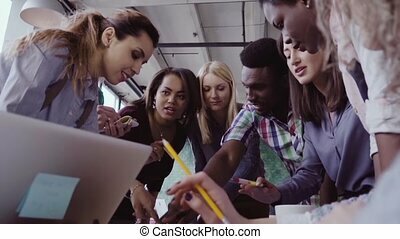 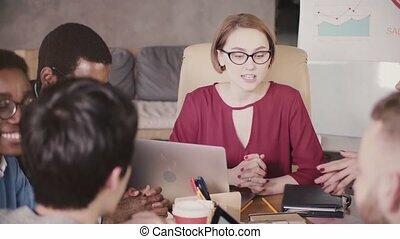 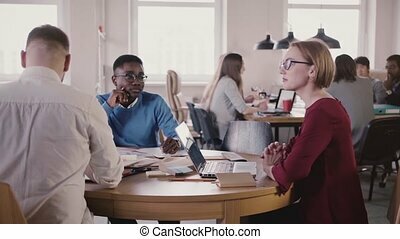 African American business people brainstorm by the table, listen to European female leader at multiethnic office meeting. 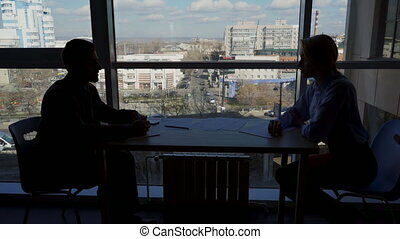 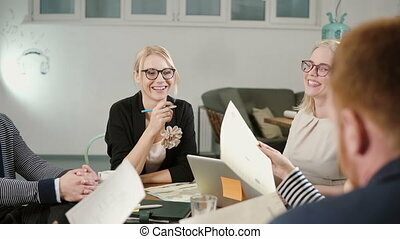 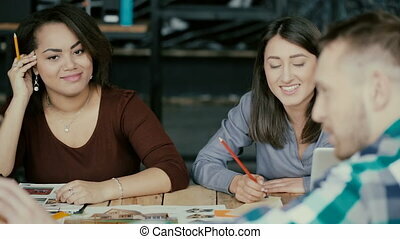 Colleagues generate ideas listening to each other in modern healthy workplace.